We represented CMIT well at the UMD basketball game! Volunteers needed for our STEM fair! Third Annual STEM Fair projects are due January 3rd! Papa Johns spirit day receipts! 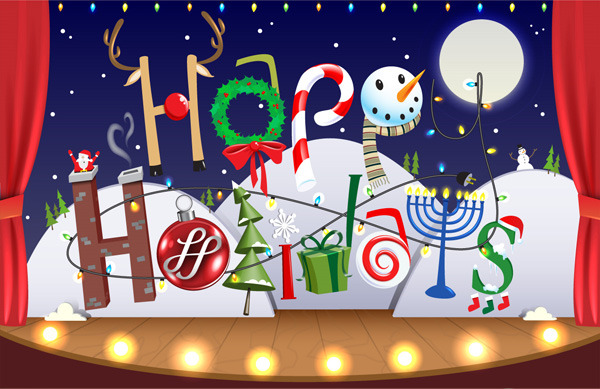 As we are quickly approaching the end of the physical year, we wanted to say Happy Holidays to all of our CMIT Elementary families, community partners, and supporters. Please remember that our scholars are still children and yes their education is a priority but we want them to enjoy their education journey. We want them to be exposed to interesting teachers and subjects. We want them to love learning. We want them to be open to others’ ideas. And we want them to have some fun along the way. So over this short winter break allow them some time to just be kids. As the weather continues to play with our emotions, please be reminded that if it is 32' or above we do go outside for recess. Please ensure that your scholars come to school with an appropriate hat and coat (that closes). We would like to ensure that they are warm while playing outside. All Kindergarten through Grade 5 packets are optional for students to complete. We do recommend that students should continue to work and grow over their break from Dec 23, 2016 to Jan 2, 2017. The winter break packets are Parcc aligned. 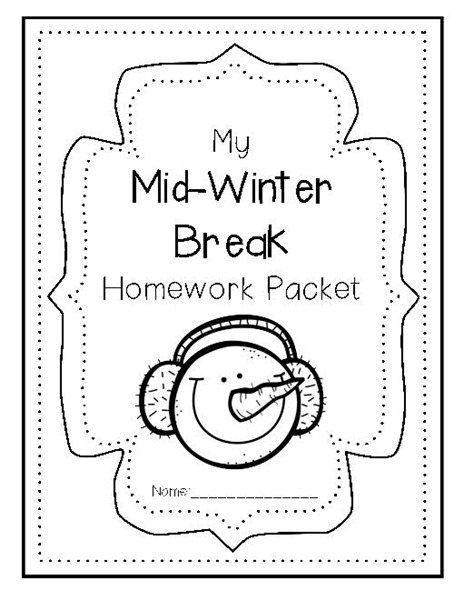 The packets will be available online as December 16, 2016 through January 2, 2017 at http://www1.pgcps.org/winterbreak/. Many of you know, Mr. Hodges. He has been a substitute here with us for 3 years now. Man how time flies. Mr. Hodges, now Officer Hodges, is moving on to become a Park Police Officer with Montgomery County Police Department. He will be missed. 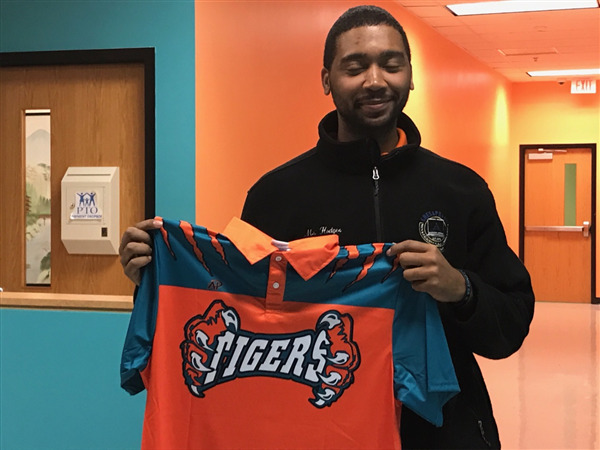 He is forever a CMIT Tiger. Good Luck! We look forward to you coming back and visiting with us on career day. This survey is about your child(ren)'s education and your ideas about how your school is using technology to improve teaching and learning. We are also interested in how you and your child use technology for learning and communicating at home. Please encourage your child to complete the Student Survey. Your neighbors and co-workers can share their ideas by completing the Community and Business Partners survey, as well. The survey will take 15 minutes or less to complete. Read the Overview page (https://sites.google.com/a/pgcps.org/speakup/about-speak-up) or visit the Project Tomorrow national site for more detailed information. January 9th - February 15th: ACCESS testing (ELL students only). 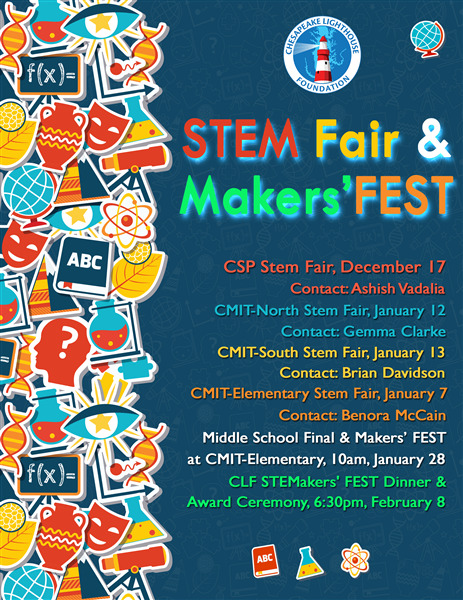 On January 28th, 2017 CLF will host its annual STEMFair and 1st annual MakersFEST at CMIT Elementary. With STEMFair projects and research already underway the competition seems to be heating up! We are also highlighting those who choose not to compete but would like to show off their talents! The MakersFEST is a non-competitive showcase so everyone is invited to enter. All you have to do is fill out the MakersFEST Fundamental Form! This year CLF will also provide financial support on a first come first serve basis to those who may need it. If you find yourself short on supplies just contact clp@clfmd.org with a quote for the materials you need. Don’t forget to send progress pictures of your creation to clp@clfmd.org for printing. As a reward for entry, MakersFEST participants will be entered into a raffle to win cool prizes! Next year CLF plans to share these MakersFEST projects with the Maryland STEM Festival and the world! Come out and see the creativity of our future inventors on January 28th! Club meeting of the year on Thursday December 22, 2016. Students should bring in the $10 club fee as soon as possible. Students should bring in a personal snack on club days. So far we have decided on groups for the different competitions. We have started our bridge design for our big competition. We have started creating our scratch game. We are very excited about this opportunity. Students may bring any STEM fair questions they have to our club meeting! Our club is at capacity with 20 students. Thank you for your interest in STEM! I would like to share that Math Kangaroo competition date has been announced. It will be held on Thursday, March 16 2017. We are working on previous Math Kangaroo test questions and working so hard to ensure good results. 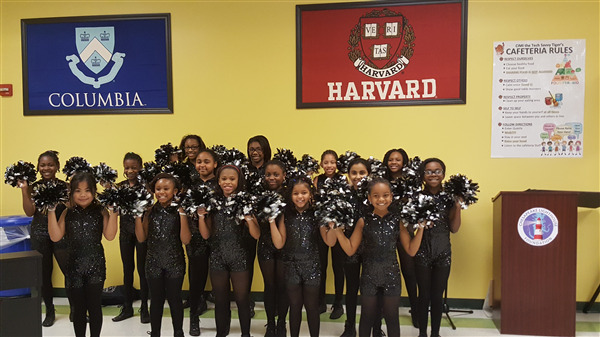 I am excited to announce the 2016-2017 CMIT Steppers Step Team. Students in grades 3-5 came out to learn a combination step and execute it as a group. Students came ready to work and I am super excited to work with these scholars as we begin putting together routines and chants. Look out for us in the new year. 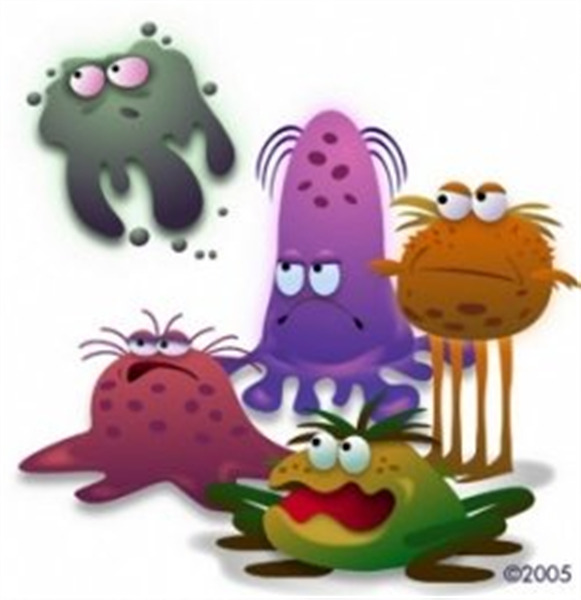 Let’s fight the Flu together! 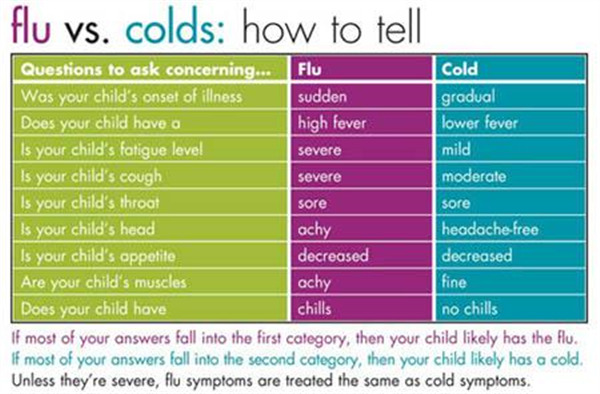 Differentiating a cold from the flu can be difficult. Please use the chart above. If you are still unsure please contact your health care provider. Please keep all sick children home until they are fever free, without medication for 24 hours. Students must not have any episodes of vomiting or diarrhea for 24 hours. Please also remember that your child needs to feel well enough to be in class and ready to learn. 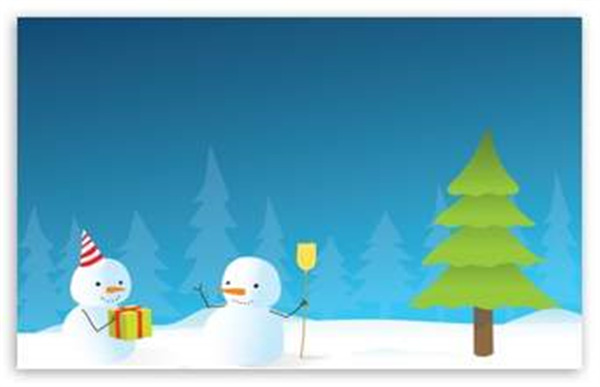 Have a safe and healthy holiday season! Items left in the lost and found will be donated on December 23, 2016. Please ensure that you (your scholar) check that they do not have any items there. The Kiwanis Club of Ellicott City presented K-Kids with an official banner! Kiwanis President Andrew Wong and our club officers proudly display our new banner - to be used at future events and meetings! The Kids also finished up the blankets that will be donated and distributed to DC's less fortunate. Way to go K-Kids! This week was the first performance of the dance team and they did an awesome job! These girls are 3-5th graders who have work so hard to show their talents and gifts. I am happy to be their coach and I look forward to many more performances this year. I am so proud of the CMIT Chorus members. They performed at PG Mall on Friday, December 9th and did a PHENOMENAL job. They were so excited to see people stop, listen, and enjoy the hard work and time they've put in over the past 2 months. Take a moment and view the pics and videos from the performance. Also, as a reminder, we will had our CMIT Holiday Concert this Tuesday, December 13th @9:00am. We are approaching the end of the calendar year and are on the cusp of a well-deserved break. Please note the following this week. - Q2 Progress Reports are scheduled to be released Wednesday, December 21st. - Schools will be closed for Winter Break Friday, December 23rd. We wish you a restful break and look forward to seeing you in the new year on January 3rd! Congratulations to our upper elementary students for a great job representing our school. We appreciate you and all our volunteers. Please consider attending another game with your bookmark ticket. Job well done! 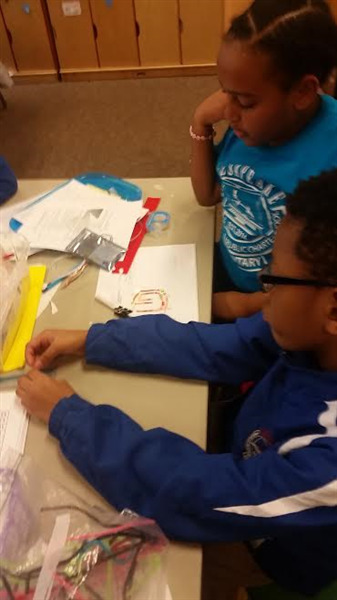 As you know, our students are working hard for our annual Stem Fair which will take place on Saturday, January 7th. Please help, support and encourge your child(ren) and plan to join this exciting event. This year, there will be an open house for prospective parents on the same day too. We are very excited to host prospective parents and present our scholars' projects on December 7th, 2017. ALL STEM Fair projects are due Jan. 3, 2017. The link for the STEM presentation is below. Please review it. You can enter questions in the google form below. STEM Fair boards will be available for purchase at the school. Small boards were not in stock. Large boards will be $5 and should be delivered Monday. Look for classdojo annoucements for the day to send in your money! Boards should be available December 20th through December 22nd. Written their title, question, hypothesis, materials, and procedures. Students should Be finished with their experiment. Students should be working on putting together their research paper. Students should Have collected data. Students should graph results. Students should make conclusions. 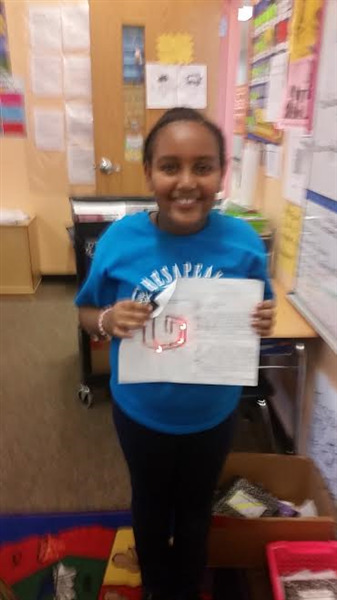 Final products should be typed and put on a STEM fair board! Students should come up with a two minute presentation. Students should have written their title, new vocabulary learned, materials, and procedure for building diorama or model. Students should practice reading and spelling new vocabulary. Students should also take pictures, create a data chart/graph. Students should be done with their STEM project. Students should be practicing a a one minute presentation. It's not too late! Send in you Papa Johns receipts. Monday morning will be the absolute last day. You can email it to Mrs. Mccain at bmccain@cmitelementary.org. Thank you for all you support! Our invitation only GLOW party will be December 20, 2016. This event will take place during school hours! This is for students who sold at least eight fundraiser items. Siblings within our school are welcome. All students that receive and invitation may wear black and white. Invitations should go home on December 16th and the 19th. If you would like to help monitor students during this event email Mrs. Mccain at bmccain@cmitelementary.org. Thank you for your support! Kindergarten wishes you and your family a wonderful holiday and restful Winter Break! Don't forget to work on your presentations for the STEM Fair! It is due on Tuesday, January 3rd! If you have questions, please contact your teacher before Thursday to ensure a response! We will read the story "George Washington Visits." It is a story about a young boy's encounter with General Washington. We will be comparing and contrasting the past and present and working with initial and final /d/. We are adding! Students will be learning how to join groups to find a total. We will be learning the plus sign and equal sign as well! Students will also be identifying how many more they will need to get to 10! Please note: students should still practice finding 1 and 2 fewer. (This will be integral when we transition to subtraction after Winter Break!) Be sure to get some extra practice at home! An easy way to incorporate this at home is during dinner prep or at the grocery. For example, "I have eight apples, but I need 2 more (or 2 fewer). How many will that be? Can you do that for me?" This will help make Subtraction and Addition much easier later in the year! Students will be learning about motion and magnets. What types of motion are there? What is force? How do we apply force? - Homework for Winter Break and the week we return will be distributed on Thursday, December 22 and will be due on Friday, January 7! We are continuing to work on counting by 10’s, 5’s and 1’s up to 120. We will be learning about different cultures. Our focus is Physical Science with an emphasis on sound. Make sure to bring in your permission slip to make a Gingerbread House. Each teacher set up sign up genius list, make sure to bring in your item and a container of icing by December 20, 2016. The STEM fair project is due January 3, 2017. No late STEM Fair projects will be accepted in the STEM Fair. Breaking Up Words into Syllables. As you read your leveled book, break the longer words into syllables to sound them out. Notice that when the syllable ends with a vowel, the vowel typically makes its long sound. If the syllable has a vowel in the middle of two consonants, the vowel makes its short vowel sound. Example: hop-ping, ho-ping. Extension: Use your knowledge about vowels in syllables to spell these two syllable words: clapping, redo, and lion. It’s all in the Details. Read your leveled book. Stop periodically to talk about the story. When the story is finished, retell the story, and include key details. What is the message or lesson from this story? Extension: Make connections to the story. Does this story remind you of another story? Does this story remind you of an experience you have had? 62+3. You start at 62 and then count up 3 (62…63,64,65). Our student of the week is Gabby Jones. I interviewed Gabby and learned her favorite color is red, favorite subject is technology, and her favorite sport football. Gabby is a very hard worker. She completes all of her assignments with tons of effort! She is always willing to help. Thank you Gabby, for all you do! Hailey S. – I will use Sumdog to learn math! Aaron – I will workout more. Jamal – I will be nice to other people because I will treat others how I want to be treated. Gabby – To play more video games! Samuel – To eat more broccoli. Connor – To eat healthy foods. This week we will be reviewing what we have learned so far. We are looking forward to having some of our parents come in next week to read and work with us! 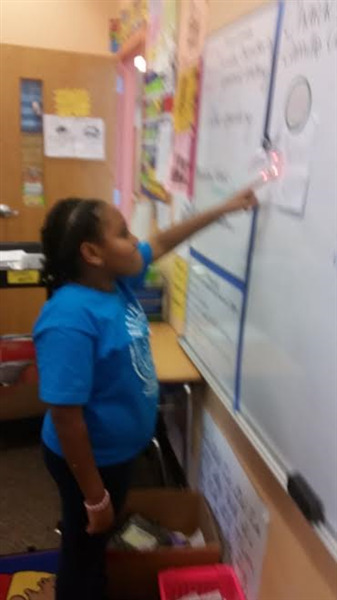 As we are moving closer to the end of the year, our scholars are synthesizing their learning and making deeper connections. Over the break encourage scholars to read a book that he or she would not normally read or visit the library to research how the Spanish and French explorers help shape our country or have your scholar help bake cookies by reading the directions and measurements. So much fun learning can happen over the break. We cannot wait to hear how scholars continue their learning incorporating Math, Science, Social Studies and Reading in their day to day activities. This week in Reading, students will be revisiting character traits and opinion writing. In Social Studies we will continue to look at how the French and Spanish Explorations help shape our country. In Math and Science, students will continue discussing the effects of different forces on an object’s motion and interpreting data. 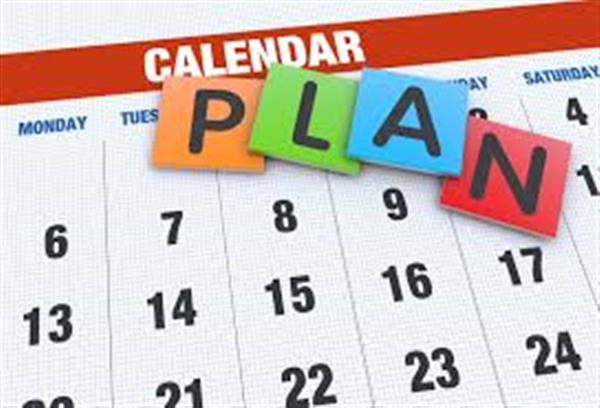 Check out the following link for 50 fun activities to do over the holiday break. Have a safe and happy holiday. See you in the new year! As we prepare for Winter Break, students should all be working to complete their STEM Fair projects and research papers. Research papers should follow the rubric provided in the STEM Booklet on page IV. Please keep the research papers to a reasonable length, and ensure that students are doing the writing themselves. Remember, students should be able to explain their projects to the judges, so make sure you practice your presentations at home! We would like to congratulate Zach Ward for being the only fourth grader to receive a 100% on their Math Test. GREAT JOB Zach! Keep up the great work! Congratulations to all other students for working hard and doing their BEST! As this will be our last newsletter before Winter Break, we wish all families a safe and happy holiday! See you next year! Pictures this week feature:- Emnet Theodros and Nathaniel Hicks. 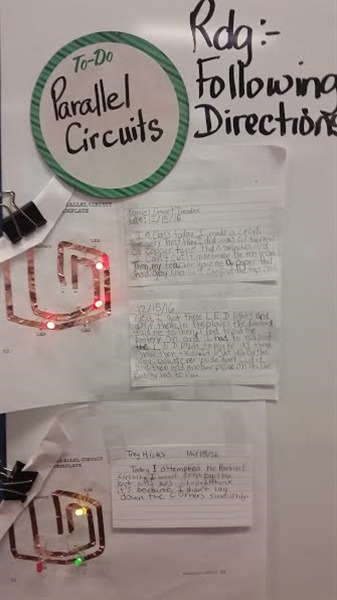 Students worked on Parallel Circuits this week. Parents and students-Happy Holidays! Stay safe. Research shows that our scholars sometimes forget knowledge learned over the holidays. Parents-this is how you can help. Please ensure that daily reading is still been done during the break. This is the BEST time to have students read a novel, since they may be indoors a lot. In January, students will begin testing in different subject areas to measure growth. PARCC is coming up as well-we would like to exceed the state standards in all areas. 5. Practice Fifth Grade Vocabulary list-students have a copy. I hope all is well. I would like to inform you about our Robotics Club. We did a great job with scholars and have completed four missions so far. As you know we will participate First Lego League(FLL) this year and I just would like to share with you tournament date. Our tournament will be held Prince George County Community College Saturday, February 4th. Pikachu says "Please share our CMIT Elementary School Art Wish List so we can replenish our art supplies for second semester!" Our highest needed items are paint brushes, new Elmers glue bottles, and broad Crayola markers (the markers and glue can be purchased anywhere!). Please consider sending something or sharing our wish list. All purchased items will be shipped directly to the school and will be used by all of our scholars! Lastly, clay is my absolute favorite media to teach and it is also on the list. Have a fantastic winter break tigers! If you would like to attend or donate items (desserts, juice boxes, napkins, paper products, or plastic ware) please inform me via class dojo or email (rross@cmitelementary.org). Winter is here! Please remember to bring or wear sneakers for Physical Education. Thank you. 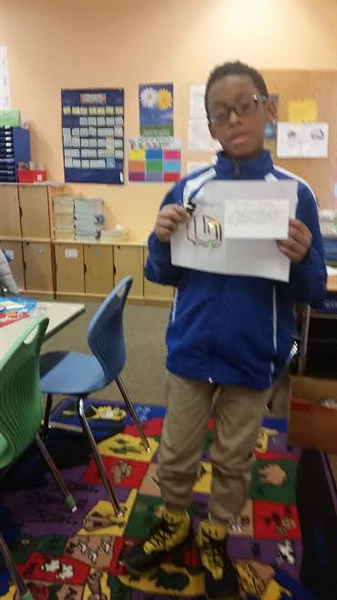 We had a great week of computer programming during our HOUR OF CODE week. Every class from Kindergarten through 5th grade participated and cumulatively our CMIT Elementary students wrote 45,000+ lines of code! What a great opportunity to learn computer science, see the code behind computer applications, and understand why these are important skills for the 21st century learner! Despite a few technology snags earlier in the week due to the high volume of participants worldwide for this 4th annual Hour of Code, the overwhelming positive response was undeniable. Many students have asked about access at home with some of the activities. The Minecraft course gives you the chance to explore the coding behind on of the world's most popular video games. Choose between Steve or Alex and explore all of your favorite aspects of Minecraft from the eyes of a game developer. Looking to finish your last minute shopping.... have no fear a silent auction is here. Please see the attached file and don't forget to place your bid!!! !